Rigid Twin Wall stainless steel. 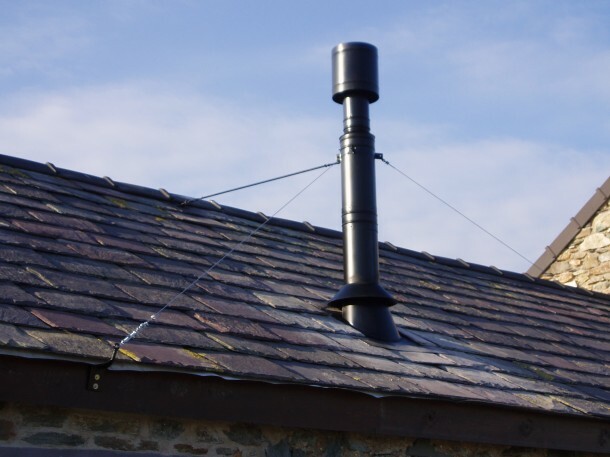 Although solid fuel has become a desirable source of heating – whether as the main source or just back ground heat – many houses are now built without chimneys or for some reason the chimney has been removed. Rigid Twin Wall stainless steel can be used as a replacement for the original or a totally new chimney. 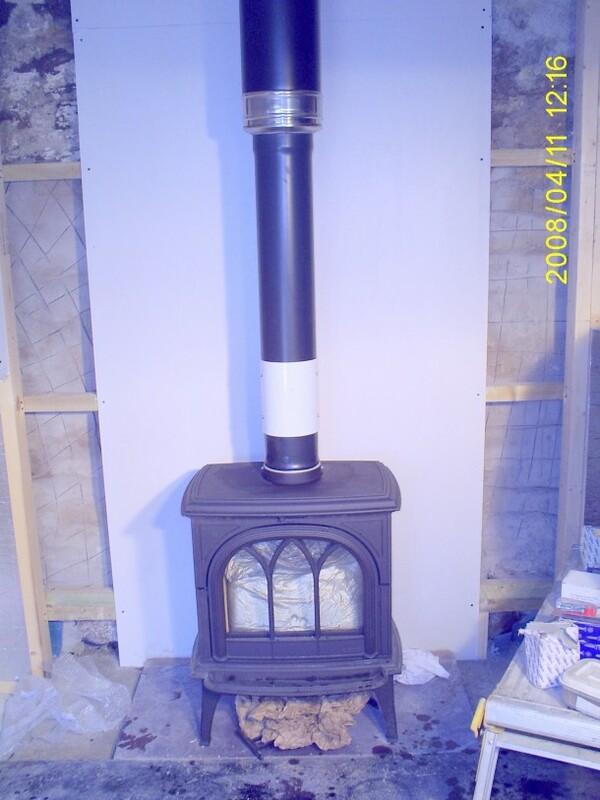 It is one of the most expensive types of chimney but in most instances there are no alternatives. 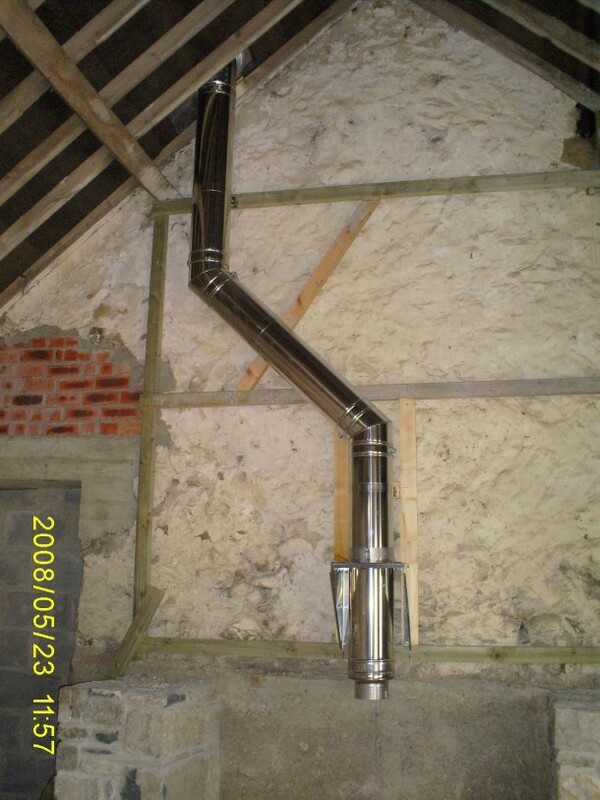 Typical installations would be in barn conversions, Log cabins, or where there is no existing chimneystack. There are certain distances from combustibles to be strictly adhered to. With correct fire stop spacers and installation of the appropriate roof flashing, Rigid Twin Wall stainless steel can be installed through ceilings and roofs. A minimum 50mm gap is required from any combustibles. Other suppliers require different distances. No joints are allowed to be between the ceiling and floor. If the installation is to be boxed-in, access doors should be fitted for inspection of joints. 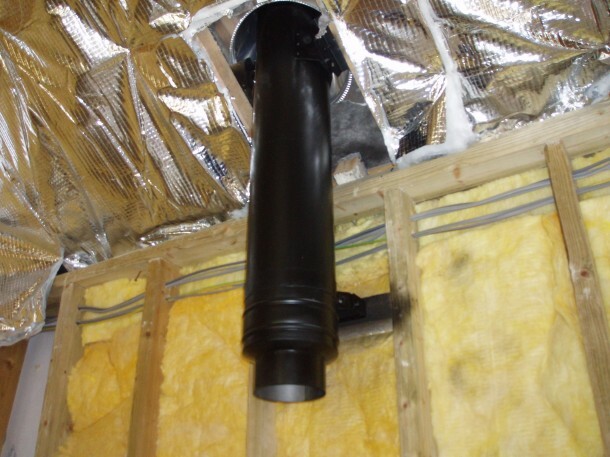 Air vents should be used to help keep the chimney cool. 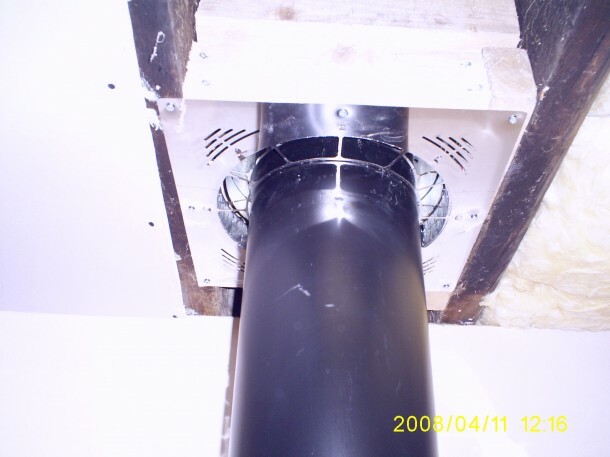 Fireboard can be fitted at the rear of a Vitreous Enamel flue pipe as there should be 3 X Flue diameter from combustibles, e.g. 150mm flue pipe = 450mm from combustibles. Various colours can be obtained rather than have a shiny Stainless Steel appearance. Different terminals can be fitted to suit different applications. Occasionally the Planning department may have to be notified to verify the installation of this type of flue in your particular area. Installation is generally carried out in one day.